Nontoxic odorless Sodium Humic Acid corrosion-free, easily soluble in water. Uses the natural weathered coal Humic Acid calcium low beauty formed by chemical refining. 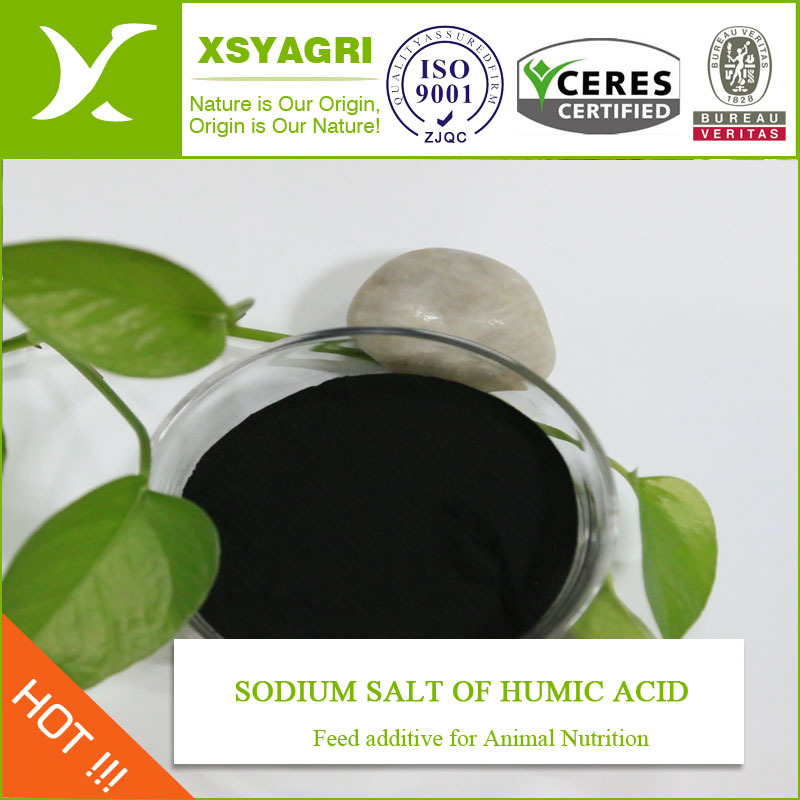 Humic acid sodium salt has been used in many areas of the national economy and recognition, industrial, agricultural and livestock farming plays a large role. 1)In industry, can be used for ceramic additives, stabilizers for industrial water,wood stains,boiler descaling agents, waste water treatment agent. 2) In agriculture as a fertilizer additives can change soil structure, crop to disease resistance effect of increasing yield. 3) As feed additives in livestock breeding, aquaculture as a Synergist, have achieved significant economic benefits. 1) Sodium Humate contains humic acid, can promote the beneficial algae growth in water, increase the number of plankton and phytoplankton in the water, keep the water sustained fertility. 2) Improved water quality, increased dissolved oxygen, improving the water environment. Rapid degradation of excess of ammonium nitrogen, nitrate, hydrogen sulfide and other toxic substances, stable water PH value, increase the dissolved oxygen content, maintenance of water microecological balance, purify water, and avoid the appearance of fish floating head. 3) Prevention of disease. Increased the number of beneficial bacteria in fish and water, thereby inhibiting the growth and reproduction of pathogenic bacteria in the water body, enhance immune resistance to reduce the occurrence of fish diseases. Looking for ideal Water Soluble Humate Manufacturer & supplier ? We have a wide selection at great prices to help you get creative. All the Sodium Humate 85% are quality guaranteed. We are China Origin Factory of Animal Feed Additives. If you have any question, please feel free to contact us.